` Corporate Tax Reform This Year? 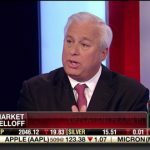 Corporate Tax Reform This Year? IBM’s stock took a hit this week as less money is apparently coming in to the giant company, which impacted the DOW by shaving off 60 points at one point. 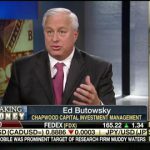 Ed Butowsky, top wealth manager in Dallas, managing partner of Chapwood Investment Management, and Fox Business Financial Advisor, joins Varney & Co to discuss how IBM is doing, strong quarter by Morgan Stanley, but more importantly should we expect corporate tax reform this year and how it will help our markets.